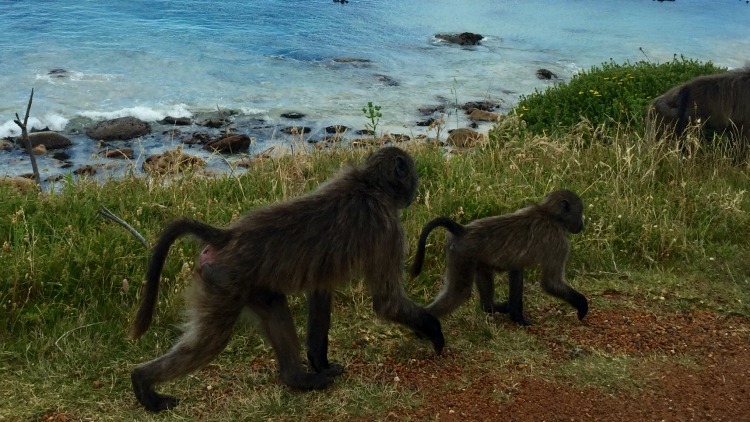 I am pleased to present a new Solo Travel Destination Post from Solo Travel Society member Tracey, to complement an earlier one from Emily. Tracey is from the United States, Emily is from South Africa, and each submitted reports from their solo trips to Cape Town. Do you have a solo travel destination that you would like to recommend? Submit your description here, along with a few photos, and share it with fellow travelers! I have traveled many, many times to Europe, and for some reason I kept meeting people from Cape Town. Needless to say, my interest was piqued, which led to lots of Googling. The sheer beauty in all the photos I found online led to an obsession. I had to go see the Cape for myself. Initially, my friends were skeptical. They could not believe that I would go so far away and alone. 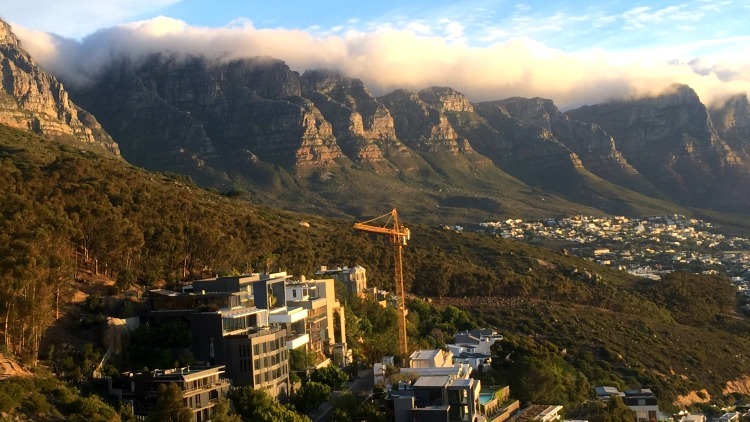 That fear instilled a little trepidation in me, so rather than renting an Airbnb apartment alone the first week, I rented a private room with a family in the area of Sea Point, just steps from the ocean in Cape Town. It was the best thing I did. The house was magnificent! It was beyond beautiful, and the couple who lived there became my friends and made my month-long trip better than I could have imagined. 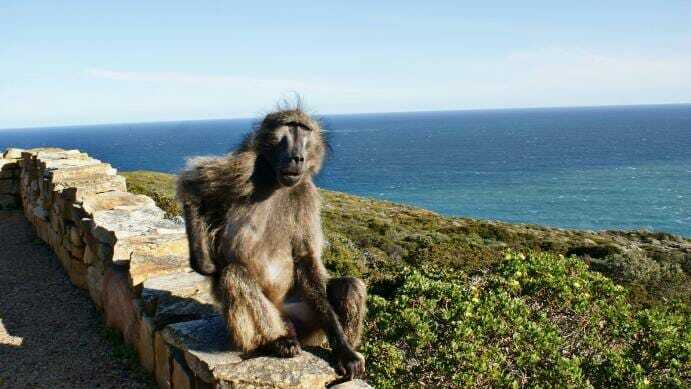 I stayed with them one week, and then wandered off to places like Simon’s Town, where I saw thousands of South African penguins playing on the beach and a large family of baboons taking over the streets. It was fantastic! I also flew up to Kruger National Park where I went on safari and stayed at Jock Safari Lodge. Now, that was an amazing few days! 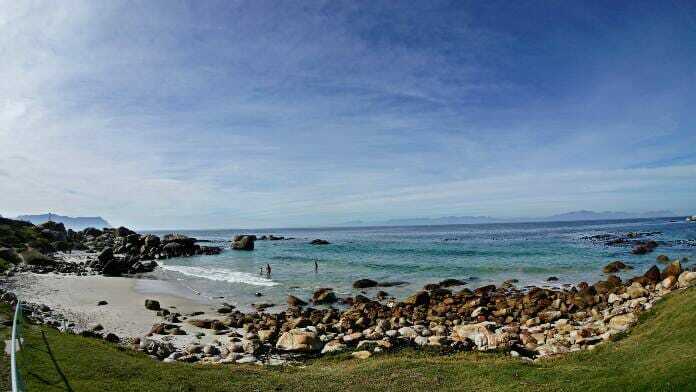 I also rode horses on the beach, stayed in gorgeous Gordon’s Bay on the Indian Ocean, and toured the quaint town of Hermanus. I went everywhere by Uber, which was incredibly cheap! Too cheap, really. I don’t know how the driver makes any money. I basically stayed along the coast touring beautiful towns with mountains soaring above. The homes I rented on Airbnb along the way were modern and gorgeous. One was an apartment in a huge modern house high up in Camps Bay. It may have cost me US$100 a night, but certainly no more. You can stay in places for $25 a night if you prefer, but for a bit more you get what would cost ten times more in the United States. Last year, for $1 you’d get 17 rand, and that would get you 4 bottles of water. The food is very good, and typically was fresh seafood, salads, and cuts of meat — basically what you’d get anywhere. I could go on and on about this gorgeous city. The beauty is overwhelming, and the people are extremely friendly and always smiling. I love it so much that when I returned a month later, I talked my 80-year-old mother into going back with me. We celebrated her 81st birthday on safari. We spent 3 weeks in South Africa and I basically repeated my previous trip, but this time I got to enjoy seeing her smiling face as she quickly fell in love with the Cape. It truly is magical. I will say that the air travel to get there from Philadelphia was LONG. On my second trip, we decided to splurge on business class seats so we could lie down and be comfortable. I never travel business class, but for a trip this long, it is worth every penny. 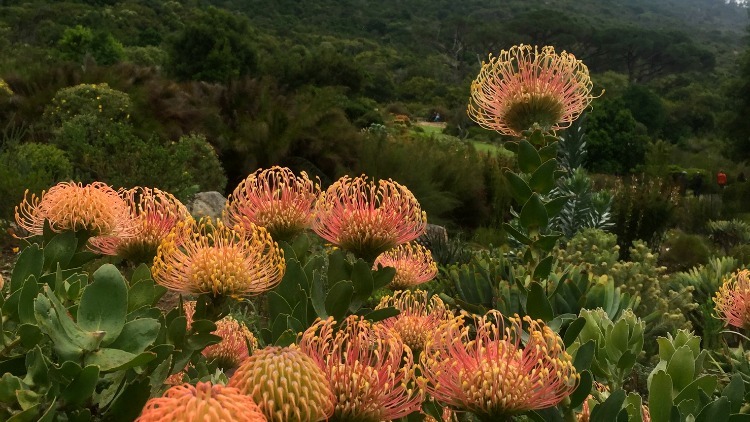 Cape Town has it all: beaches, mountains, harbors, gardens, adventure trips, wildlife, vineyards and wine, amazing food, culture, history, gorgeous weather, and amazing nightlife. 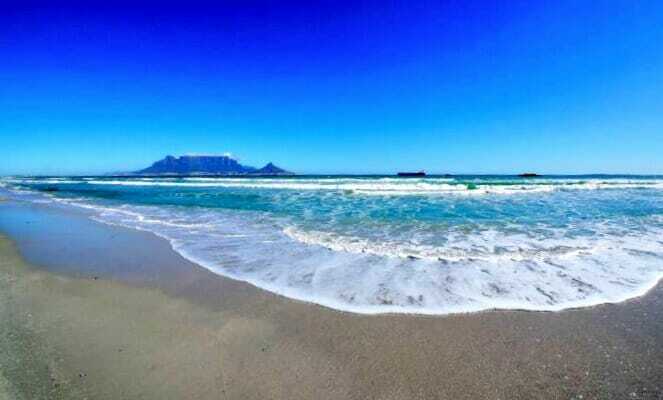 There are a wide variety of beaches to visit, from Boulders Beach in Simon’s Town where tons of penguins run around frolicking, to the gorgeous Camps Bay Beach where sunsets will take your breath away while the Twelve Apostles mountains look on. 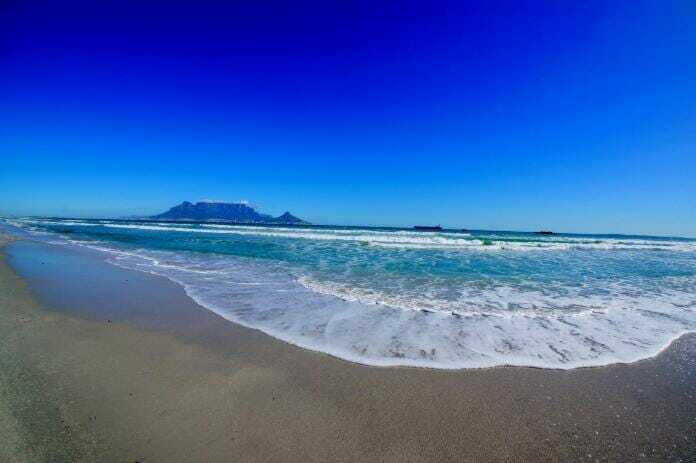 Noordhoek Beach is a great place to go horseback riding along the water and Muizenberg Beach has sand, surf, and possible shark spotting! Go strawberry picking during the day, or take a bicycle ride around some vineyards in the surrounding winelands. 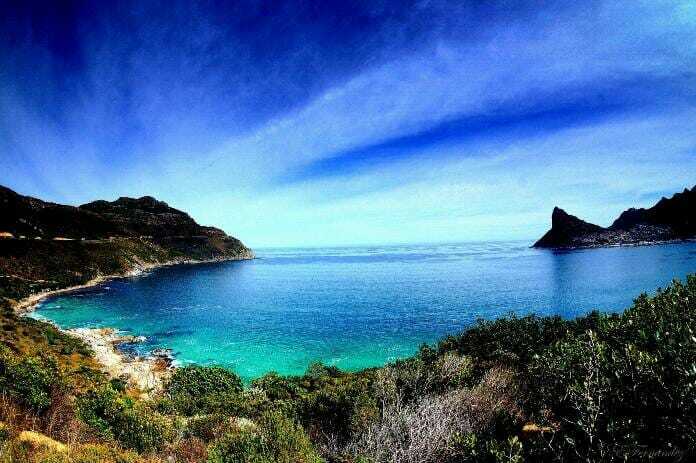 Take a drive via Chapman’s Peak and visit the charming fishing town of Hout Bay before moving along to Simon’s Town where the South African naval base is located. Here, you can enjoy a nice meal in one of the restaurants overlooking the harbor where many sailboats and naval ships are docked. If you’re into enjoying Cape Town nightlife, Long Street is the place to be! 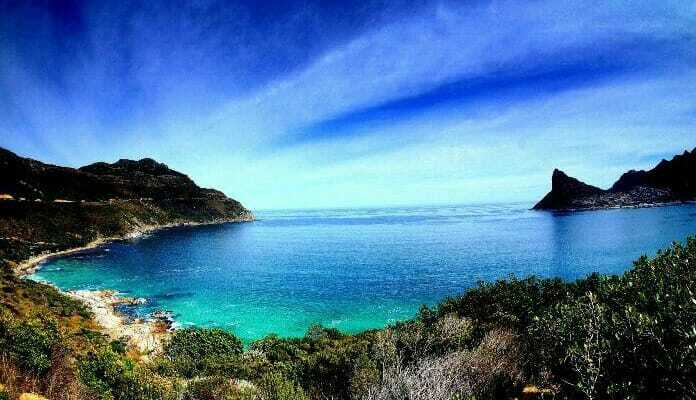 There is no shortage of things to do and see in Cape Town. It’s a gorgeous city and one won’t leave without falling in love with the area! Beautiful unspoiled and private beaches.